On my bi-weekly trip to Trader Joe’s, I came across a “new” apple called Opal. It is a cross between a Golden Delicious and a Topaz and was discovered in Europe in 1999. 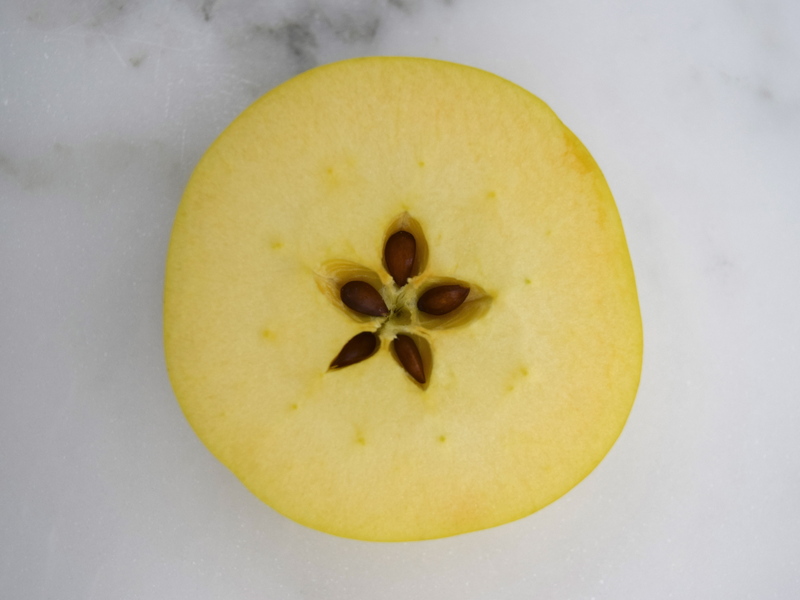 In March 2010, the Opal brand apple made its debut in the United States and is grown exclusively by Ralph Broetje of Broetje Orchards in Washington. The conventional apples are in season from December through March, while the organic apples are available November through January. 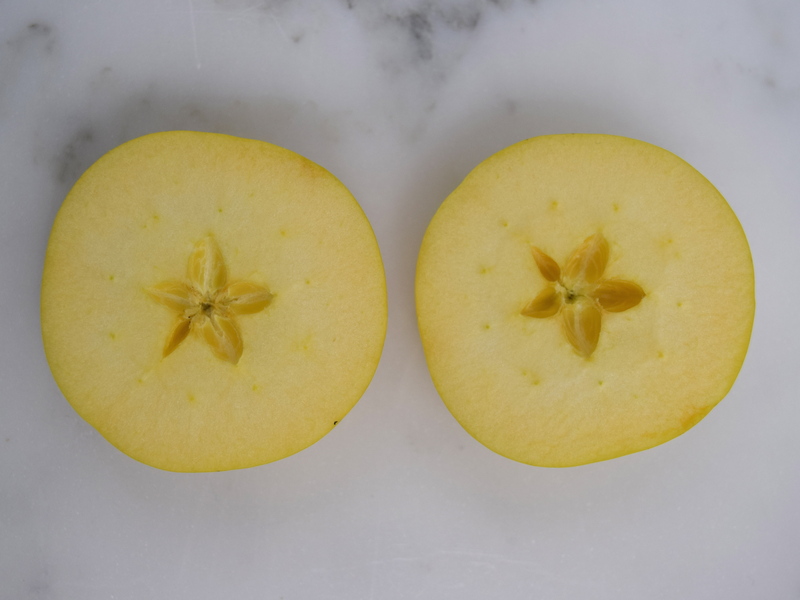 According to an article written by Tom Karst, in The Packer, Everything Produce, April 1, 2014, the Opal apple received the Non-GMO (non-genetically modified organisms) verification. 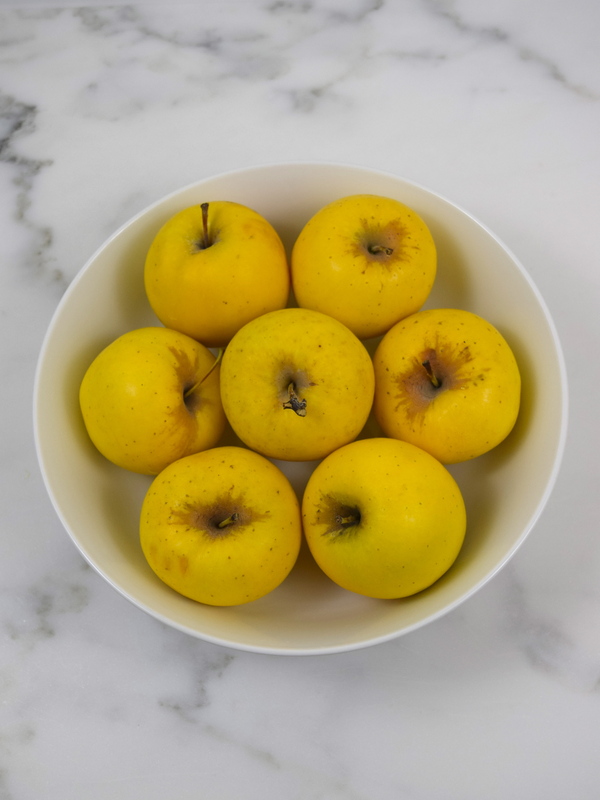 What is unique about this variety is not only its sweetness and crispness, but the fact the apple does not turn brown after being cut. I must say that I have become a fan of this fruit and you can see how beautiful it is by the cross-section pictures. If you haven’t tasted this variety before, look for it the next time you are in the grocery store and buy a few. You won’t be disappointed! For more information about this yummy apple, click on the links below. No, thank you. Love your blog!